Long gone are the days when keyword placement and backlinks guaranteed success in SEO. As Google gathers increasingly more data about us, search results have become more accurate, timely, and personalized than ever. As such, the SEO’s job today is more than keywords and backlinks. It’s more than metadata optimisation. It’s more than even content. It’s the assurance of a frictionless user experience while delivering the right information at the right time—and in a timely manner. A lot has happened in SEO this year, but I don’t want to burden you with technicalities. Instead, I’ll discuss what I see as the most important trends in SEO on a macro level, which will give you a big-picture view of where SEO is headed. You’ll notice how these trends build on each other, signaling the importance of a systematic and integrated SEO strategy. Here’s a hard fact: 1 out of 5 searches already comes from voice queries, according to Google. And that’s not surprising: Voice-activated smart speakers like Google Home and Amazon Echo are on the rise. With its new flagship phone Pixel 2 and an extended line of home speakers driven by Google Assistant, Google is advancing the adoption of voice-activated hardware. Side note: I have a Pixel Home and a Pixel phone myself, and I can tell you: The ease of using voice search is highly addictive. Try it once and you’ll have a hard time getting back to typing. Plus, Google recently released Google Assistant for all Android devices. This is important because, contrary to popular belief, the adoption of voice search will largely happen on mobile devices, not on home speakers. As the accuracy of voice assistants continues to improve, we’ll see more and more people utilizing voice search for timely search queries. 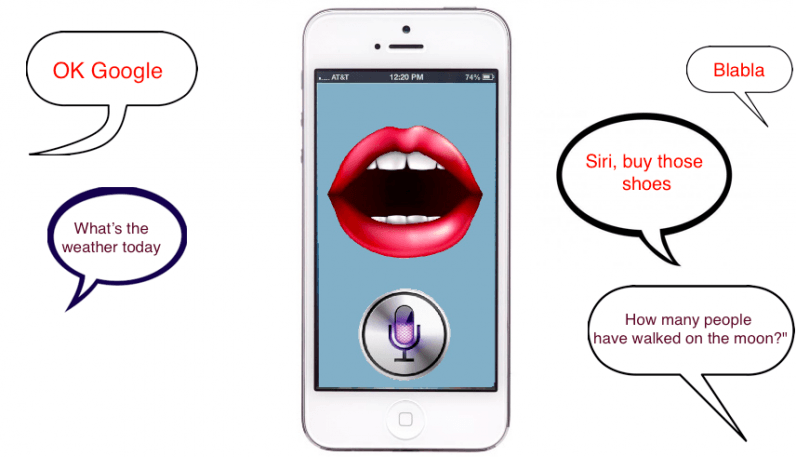 That’s why optimizing your SEO strategy for voice search today is of vital importance. In short, this means more focus on long-tail keywords and syntax used in everyday language, as well as creating well-structured content broken down into short sections answering more search queries at a time. How do featured snippets tie back to voice search? Well, this is the information that voice assistants return to you. However, featured snippets are more than that. Over the last few years, we’ve seen an astounding growth of featured snippets displayed in search results across all devices. Today nearly 30% of all search queries on Google have instant answers in the form of featured snippets. In SEO terms, it’s the new position #1! Featured snippets are already stealing up to 10% of traffic from top positions on the first page. With the growing adoption of structured data and, in turn, the accuracy of instant answers, featured snippets will further deprive other positions of traffic. This trend is giving rise to new forms of content, such as Q&A content, which is optimized to provide short answers in response to long-tail search queries. SEOs also pay more attention to the formatting and structure of content to make it easier for Google to pull relevant information for featured snippets. Recommended read: This article from HubSpot is one of the best articles on structuring content for featured snippets. We are probably only months away from Google’s roll-out of the mobile-first index. This means that Google will rank pages based on the mobile version of the page. To this date, Google has been evaluating a website’s relevance to the user based on the desktop page. However, as mobile searches today account for more than 60% of total searches, this ranking system has become obsolete. Hence the shift to the mobile-first index. It’s probably one of the biggest algorithmic changes in Google’s history that might turn page rankings upside down. As a result, SEOs increasingly adopt accelerated mobile pages and optimize the user experience for mobile: from page load time to navigation, information architecture, and design. It’s not just mobile. User expectations and demands for search are growing across the board. Today users want instant solutions to their problems no matter the device they are using. Want a hard fact? Google’s studies have shown that sites that load longer than three seconds lose about 40% of visitors. In other words, the bottom line of your business depends on seconds! For the sake of argument, let’s assume that your site has a perfect load time. But what happens if the user can’t figure out how to navigate your site in a couple of seconds? What happens if the user can’t understand what your article is about in a couple of seconds? That’s why a good user experience from an SEO perspective is more than your site’s speed. It’s the readability of your content. It’s navigation. It’s information architecture. It’s design. Google has made it clear that a seamless user experience is part of their ranking system. And that seamless user experience must be adapted for both mobile and desktop, ensuring a frictionless journey to the answer on all devices. As we’ve learned, search results are becoming more timely and contextual. Google does a lot on its part to integrate AI into its search algorithm so that it can combine historical information, present context (location, device, etc. ), and the intent of the query to return the most relevant and personalized answer to the user in the quickest way possible. In fact, Google has recently confirmed one of my long-held hypotheses, which is that Google’s ranking factors largely depend on the keyword intent. For example, for keywords with clear buying intent, Google will prioritize e-commerce sites instead of major media outlets even if the latter are more authoritative. That’s because the goal of the searcher is to buy, not to find information. Conversely, for keywords with the intent to find more information, Google will more likely prioritize highly credible media sites. That’s why SEOs are starting to factor in the intent behind each search query and optimize the content and user experience accordingly. As such, we see a shift from generic content optimization for keywords to more contextual intent-based content optimization.